Guest Capt. 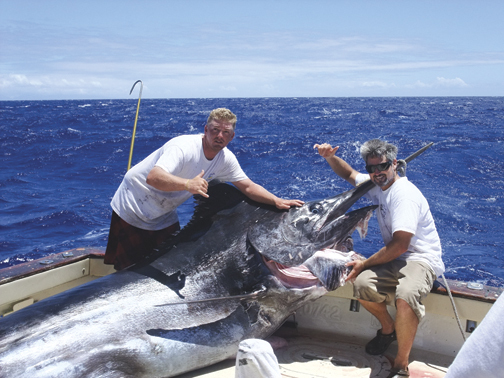 Mike Hennessey was at the helm of the MAGGIE JOE, a Kewalo-based charterboat, when a massive blue marlin hooked up. Marvin Bethune handled the angling duties and crewman Nathan Varnadoe took control of the back deck.